Liven up your children's bedrooms wall with our colourful Tower of London Guardsman wall clock. The guard is sporting a friendly smile and is proudly displaying the time on his oversized bearskin cap. A detachment of Guards are placed at the Tower of London to protect the crown jewels. Care instructions - made from MDF (wipe clean only). Requires x1 AA battery (not included). Clock dimensions: 30cm x 16.5cm x 9cm. This quirky wall clock is perfect for the kids bedrooms where the Tower of London guard proudly displays a clock on their oversized bearskin cap. 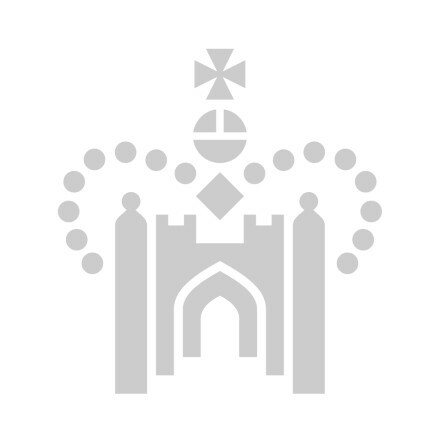 The crown jewels at the Tower of London are protected by a detachment of the regiment on guard at Buckingham Palace and St. James' Palace. Made from MDF - wipe clean only.